60 Daryl tokens, ---Rufus tokens, 30 phones. Where are the Rufus tokens? What language are you playing in? Might be a localization issue. Actually it only says "•••" over his picture just like the gold pistol is now called "•••". It unwrapped right and had the tokens it for me. Got 60 both, Daryl as well as Rufus, and 30 calls. Same as Rustynail...no Rufus tokens. Only prerequisite to receive Rufus tokens was to log in during event which I did. Actually utilized Rufus heavily during event. 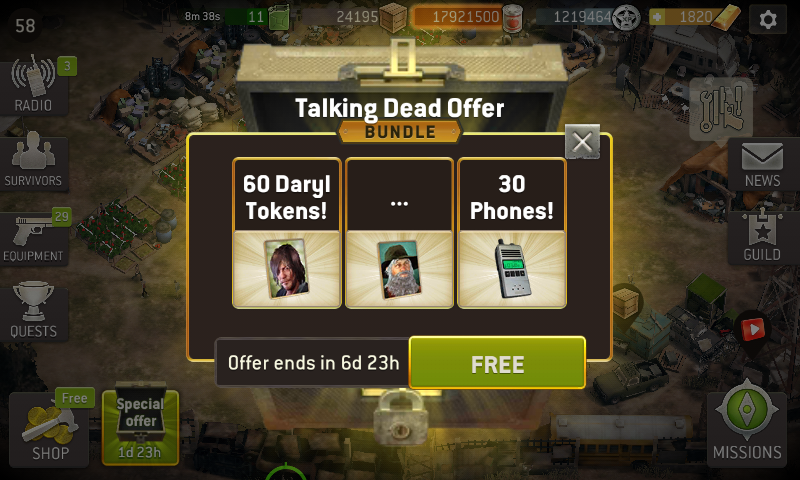 > 60 Daryl tokens, ---Rufus tokens, 30 phones. > Where are the Rufus tokens? -- Havin the same issue.. says to claim prize in news section under the news letter clicked on it and never received ANY of the prizes.. the "new" message is gone and won't let me click it again to try an claim.. very frustrating considering I've actually put my own money into this game! @kivett Not for nothing but did you look in the gold shop after checking the news again? 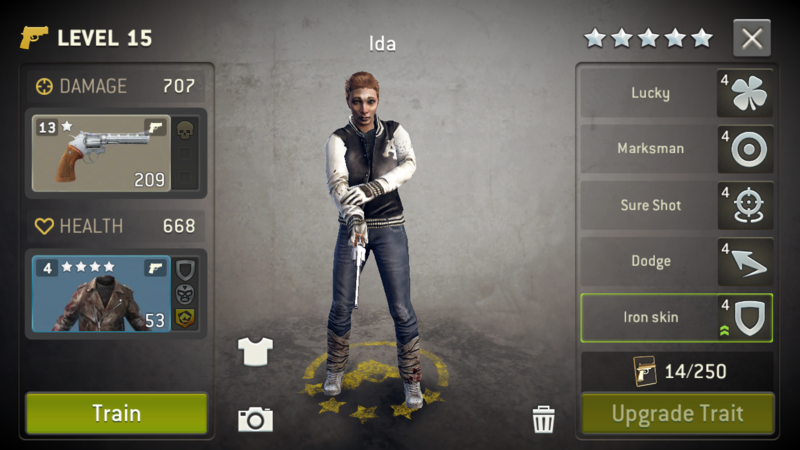 If the news section button is not there, it means you've already claimed the bundle in question. If you haven't, double-check the gold shop. @rapax @all anyone whom is concerned that there are "..." above rufus head we still get the 60 tokens. It will show when you collect the bundle all 3 pieces show up. Also I checked my hero's token count before accepting the bundle and i got 60 for both and the 30 phones. USA account, mine looked the same "..." but dammit I received 60 Rufus tokens. I hoped I somehow didn't qualify.